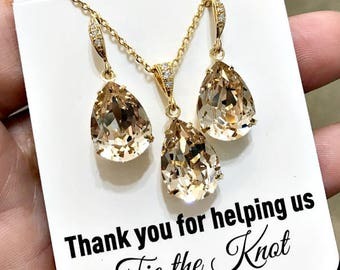 Gold champagne teardrop earrings and necklace made with the gorgeous Swarovski Crystal Golden Shadow stones. Perfect for weddings and special occasions. 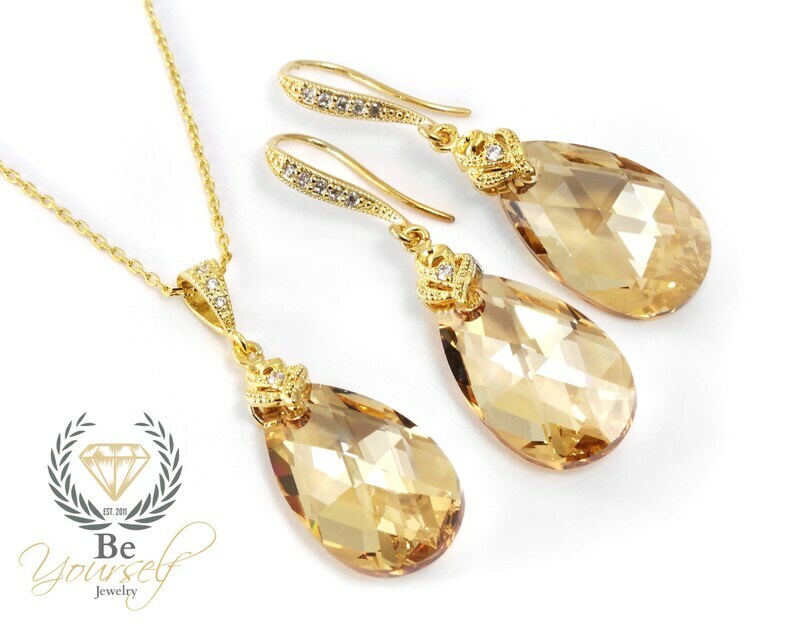 These pear shaped faceted crystals will light up the room as you walk by your friends and family. Please follow us on Facebook, Instagram, Twitter and Pinterest. The buyer purchased many items from me in the past and was pleased with all of them and with my customer service. She came back to get one last jewelry set and asked me to rush the order out to her, which I immediately did. We both live in the same state and delivery usually takes 3 days, but for some reason, maybe Christmas season, the package arrived later than the day she expected. She is now upset I didn't paid out of my pocket for Priority mail and the package arrived later than she expected when she paid for first class mail. The purchase was done during the Black Friday sale - at a very high discount and all sales are final - she is still upset with me for not accepting returns during that period.